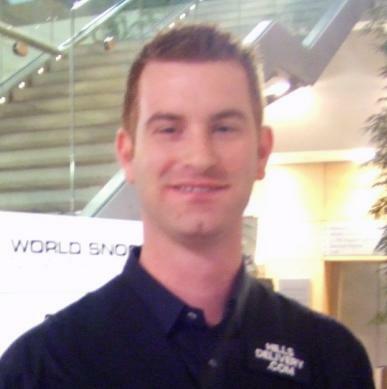 A former WPBSA Young Player of Distinction, Andrew was a talented amateur, winning national titles at both under-17 and under-21 level, as well as reaching the semi-finals of the World under-21 Championships in 1997. He first earned a spot on the main tour for 2001/2 having finished second on the order of merit of the Challenge Tour during the previous season, though it took him a number of years to really make an impression at this level. In 2006/7 however he enjoyed his best run by far at the 2006 Grand Prix when he qualified through the group stages to reach the last 16 where he lost out to eventual winner Neil Robertson. This moved his ranking right up to a career high of 42nd, meaning that he only needed to win two qualifying matches to make the final stages of events and play in front of the cameras. Coming into 2007/8 looking to build on his previous form and move up into the top 32 for the first time, things didn’t work out this way for Andrew as he lost his opening match in five of the seven ranking events and with the result that he would drop 12 places back down to 54th. His start to 2008/9 was to be improved as he won matches in each of the opening three ranking events, but from there Andrew lost his way as he won just one further match all season. As a result he not only dropped 20 places down the rankings but he ended up losing his place on the tour altogether before being handed a late reprieve in the form of a World Snooker wildcard which would ensure that he would line up for the 2009/10 season after all. 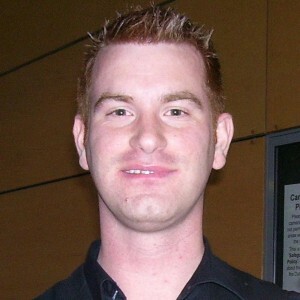 Andrew’s reprieve was however to be short-lived as during 2009/10 he won just one match against Chris Norbury during the Grand Prix qualifiers. This meant that he was to finish 96th and last in the two-year rankings and was relegated from the tour as a result. 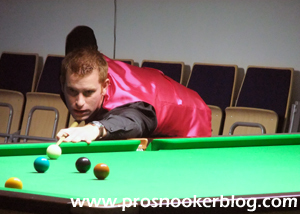 Encouraged by an impressive run during the EPTC4 during which he defeated Ding Junhui, Mark Allen and David Grace to reach the fourth round, Andrew entered the new Q School event at the end of the season in an attempt to regain a place on the main tour. With victories against Stephen Groves, Alex Borg, Luke Simmonds and Lee Walker, Andrew was through to the final round where he would face Grove youngster Chen Zhe for a spot on the tour. It was a close match throughout but eventually it was Andrew who was able to come through a 4-3 winner to secure his return to the professional circuit after a year away. Back on tour in 2011/12, Andrew began the new campaign well, winning two matches in both the Australian Goldfields Open and Shanghai Masters qualifiers, whilst recording consistent results during the PTCs without quite being able to take his results to the next level. The pattern was to continue during the second half of the season, opening round wins in the majority of tournaments, followed by defeat in the next round, seeing him finish the season ranked 75th and therefore relegated from the tour. Competing as an amateur during 2012/13, Andrew Norman nevertheless performed well during the PTC events, notably reaching the quarter-finals of the ET1 event in Germany, whilst also reaching the last 32 of the ET4 event in Sofia. 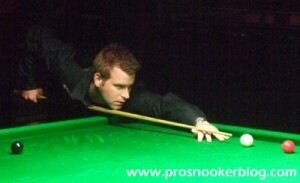 As a result, Andrew was able to regain a place on the main tour for 2013/14 via the PTC Order of Merit. Back on tour for 2013/14, Andrew’s best results were again to come during the eight European Tour events, as he reached the last 32 stage on three separate occasions. His form at the full-ranking events was to be poor however, as he won just one match against David Morris at the Australian Goldfields Open qualifiers, meaning that he would finish the season ranked 110th. Working full-time away from the baize at the South West Snooker Academy in Gloucester, Andrew was to play a limited schedule during the 2014/15 season, winning just one match at the first Asian Tour event of the season. Following a 10-2 defeat to Andrew Norman at the World Championship qualifiers, Andrew announced his retirement from professional snooker.